If You Fill Your Head With Information, There Won't Be Room For Wisdom, Imagination And Inspiration. is a photograph by Bijan Pirnia which was uploaded on September 2nd, 2018. If You Fill Your Head With Information, There Won't Be Room For Wisdom, Imagination And Inspiration. 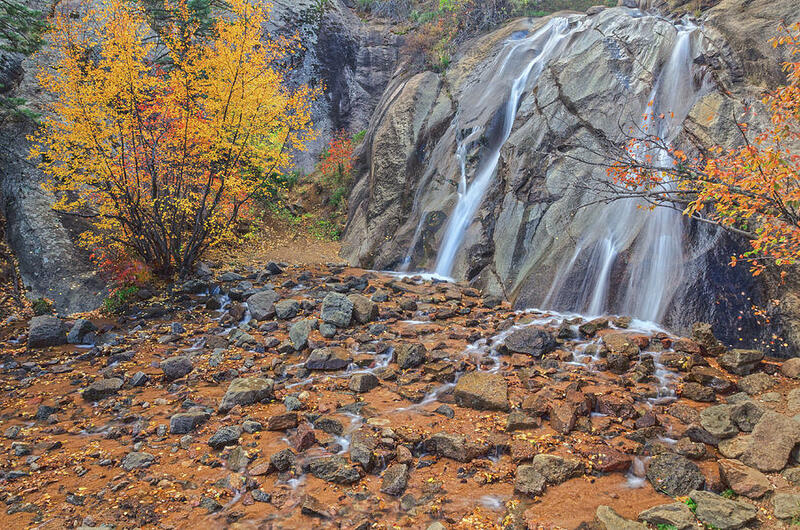 Helen Hunt Falls, North Cheyenne Canyon city park, Colorado Springs, Colorado, Established in 1885 and measuring 1620 acres (655 hectares,) North Cheyenne Canyon is the first and largest voter-approved city park in Colorado Springs. The waterfall is named after Helen Hunt Jackson (1830-85) an American poet and novelist. Her classic novel, RAMONA was a best-seller in 1884. Copies of it in paperback are available in bookstores and libraries. Ramona has also been made into movies 4 times since 1910, a radio broadcast in 1945, annual theater productions sine 1923 in Hemet, California, and a Mexican Telenovela TV series in 2000. I thank you, kind sir. Your interest in my work and your comments are much appreciated. glad to know we share the love of Autumn. Please come by and see us when you get a chance. Congratulations! Your outstanding artwork has been chosen as a FEATURE in the “Long Exposure and Night Photography ” group on Fine Art America — You are invited to post your featured image to the featured image discussion thread as a permanent place to continue to get exposure even after the image is no longer on the Home Page. Thank you kindly, Mr. Allan. Good Sunday morning to an honorable lady. I thank you, dear Jeanne, for stopping by my gallery. I hope you have a great Labor Day weekend. Bijan, your photos is so beautiful and your words are truth. Thank you for this! And thank you, my dear Andrea, for your kind, affirming words. It is so sweet to have you in my gallery. You made my day and my Labor Day weekend.